Probably one of the greatest highlights for me was also probably the most challenging. 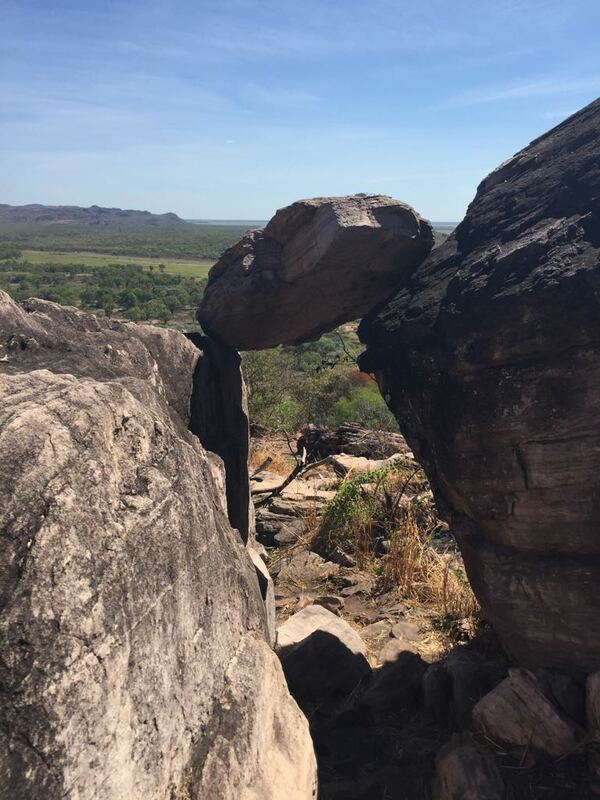 Walking up Mount Injaluk in West Arnhemland seriously felt like a real personal achievement. The view on arrival at the top of the mountain was totally breathtaking. Well, it literally did almost take my breath away. I would like to mention that the temperature was 34%C with 99% humidity. It was also midday by the time we eventually reached the peak. And I did it! 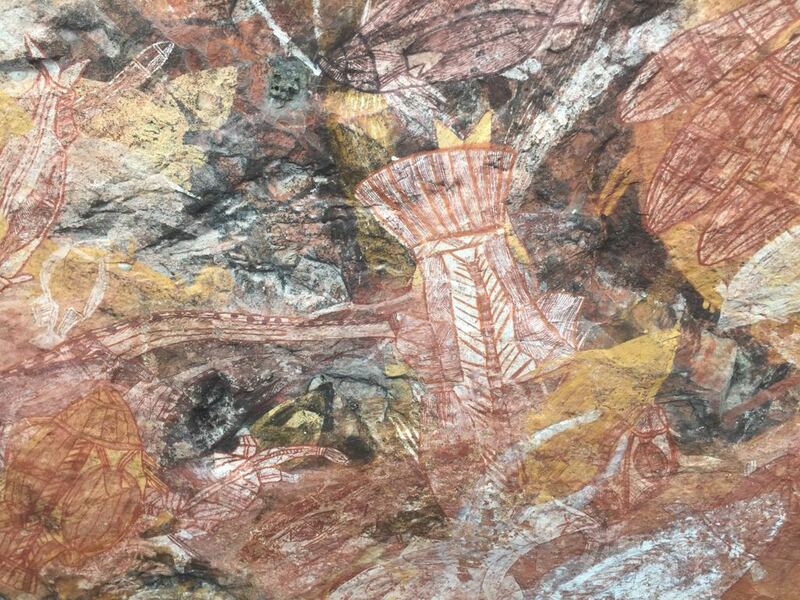 The Aboriginal rock art that we saw on the way up was incredible. To have learned that these wonderful works of art were painted 60,000 ago is quite amazing And to have seen that these paintings have survived relatively undamaged over so many years is quite unbelievable. And yes if I were ever to go to Arnhemland again I would do the climb all over again! 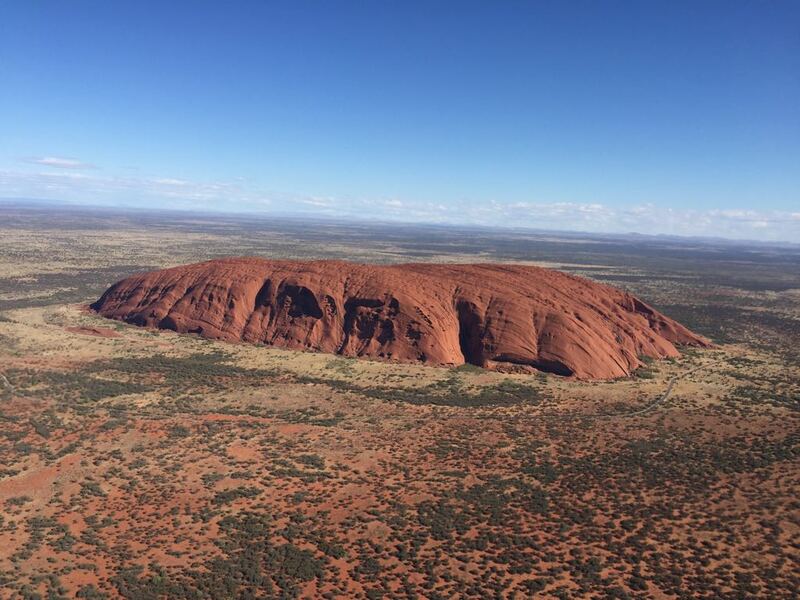 Flying into Uluru brought tears to my eyes. Seeing this magical rock formation from the air is unlike anything I’ve ever experienced or seen before and most probably never will again. The view from the sky brought out so many different emotions. The following day we did the 12kms walk around the base of this truly spiritual and most sacred place on earth. The enormity of the rock is something that cannot be experienced unless you are actually there. Seeing the sunrise at Uluru was very special for me as it is something that has been on my own personal bucket list for many years. Another thing that I’ve now managed to tick off from my incredibly long bucket list. Michael has returned to London and I’m now in Sydney staying in Manly again for the third year in a row. (Manly is most definitely my own personal Nirvana!). I’m very lucky to be on a two-week writing retreat. It’s absolutely wonderful here. 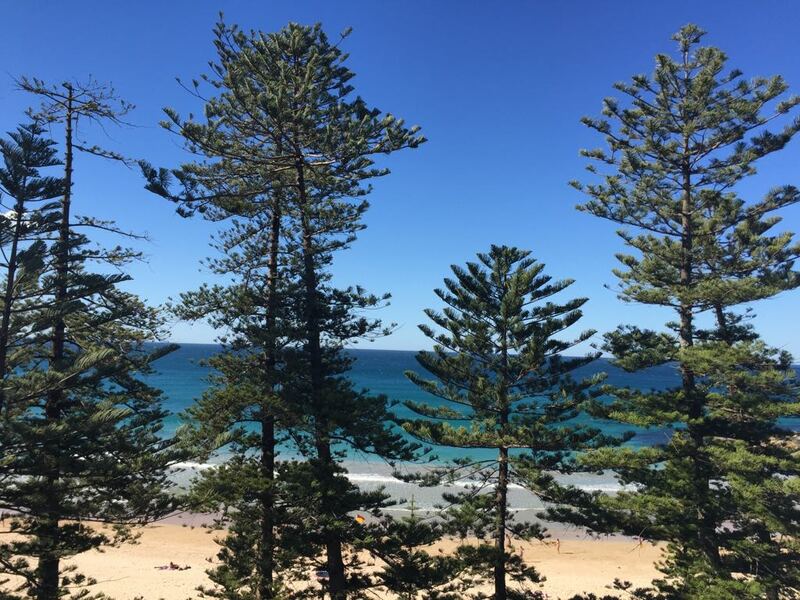 The view from my strategically placed writing desk is stunning and the sound of the waves crashing onto the beach are both totally inspiring. I’m happy to report that the writing is going really really well. Having an editor working alongside me this time is incredibly helpful. I’m totally focussed. Pages and pages are being written and I’m happy with the way the story is unfolding. Summer is coming to an end. I hope you’ve all enjoyed yours as much as I’m enjoying mine. Bye for now! It’s time to get back to the writing because this is the main reason why I’m still here in Australia. A country that has really stolen my heart.